The Tour completes its 2016 line-up with regional strength as two GCC teams are announced to hit the waves for the sixth edition of the race, which will take place from 14-29 February 2016. Showcasing the talent and legacy of sailing from the Sultanate of Oman, SATT welcomes the return of Team Renaissance, featuring sailing stars Fahad Al Hasni and Nasser Al Mashari, and newcomers Al Mouj, led by the seasoned hands of co-skippers Nico Lunven and Gilles Favennec. Drawing on their knowledge of local waters, Team Renaissance is eager to combine their offshore and inshore talent for a string of podium places. Fahad Al Hasni, a key member of Oman Sail’s record breaking Musandam-Oman Sail MOD70 crew, returns to skipper Team Renaissance for the second consecutive year, and will be joined by Nasser Al Mashari who in December received worldwide acclaim when Extreme 40 crew The Wave, Muscat were crowned 2015 champions of the Extreme Sailing Series. According to Al Hasni, hopes are high that their fifth place last year can be improved to at least third in this edition. Hoping to give Team Renaissance a challenge in the water and eager to join the now nine-strong competition is debutant team Al Mouj. The mixed Omani-non-Omani Al Mouj is looking to spring a surprise in their first SATT experience, backed by the experienced leadership of co-skippers French navigator Nico Lunven, who has Volvo Ocean Race, Tour de France a Voile, Figaro and RORC miles and a SATT 2015 trophy under his belt, and seasoned campaigner Gilles Favennec, a member of Oman Sail’s MOD 70 and M34 crew. The debutant team are excited to tackle the new route, despite not having time to train in the early months leading up to the kick off in Dubai on 15 February, as their skills are sure to shine during the second upwind leg to Doha and the marathon third leg to Khasab. This is where they hope to rack up the points and are serious contenders for a podium place with ambitions to dislodge favourites EFG Bank Monaco from the top spot. The 2016 EFG Sailing Arabia – the Tour, also sponsored by Al Thuraya, is the sixth edition of the race with some of the world’s most highly regarded international sailing teams set to grace the waters of the Arabian Gulf. The race combines long offshore legs with high action racing ‘around the cans’ in harbours along the 750 nms course. 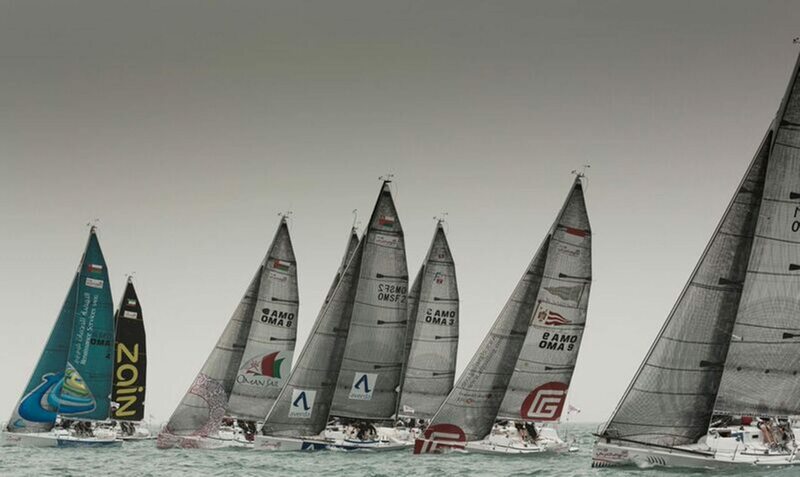 Oman Sail first launched the race in 2011 and since then, it has grown into the jewel in the crown of Middle East sailing, as the Gulf region’s only long distance offshore event.